Used for checking air gap between stator and rotor in electric motors and generators, and general machine tool maintenance or repair. #82 series have the following 15 straight leaves, 1/2" wide. .002", .003",.004",.005", .006", .008", .010", .015", .020", .025", .030", .035", .040", .050", .060"
All leaves are made from tempered & polished steel, plainly marked for correct thickness. Gages are equipped with locking device, and protective steel case. 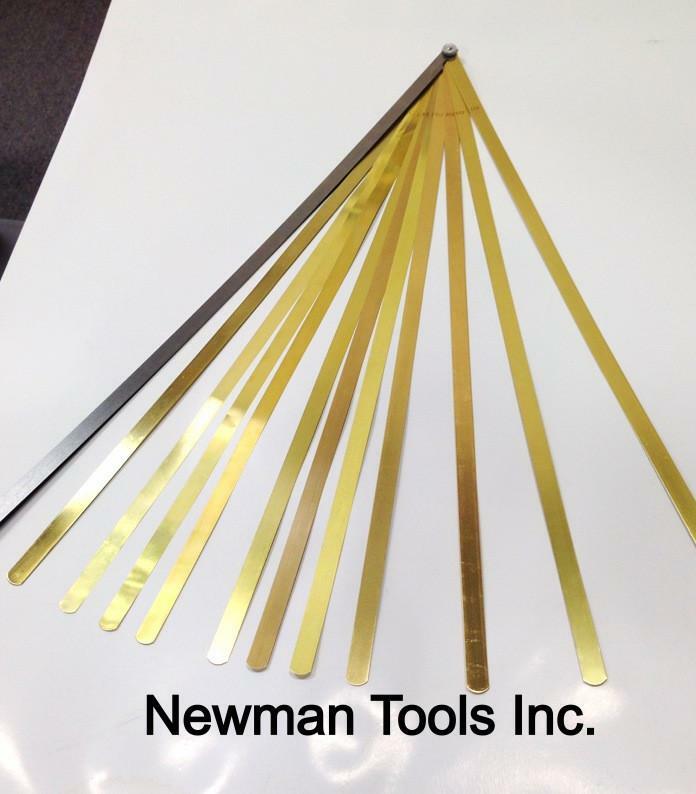 #83 series have the following 13 straight leaves, 1/2" wide..001, .002", .003",.004",.005", .007", .010",.012". .015", .020", .025", .032", .040"
Part No. Length of Blades .